One of the biggest surprises for me on the Revival bootcamp was just how good the food tasted. Of course, that could have been all the fresh air and exercise, but it might also have had something to do with eating freshly prepared meals made from great ingredients. 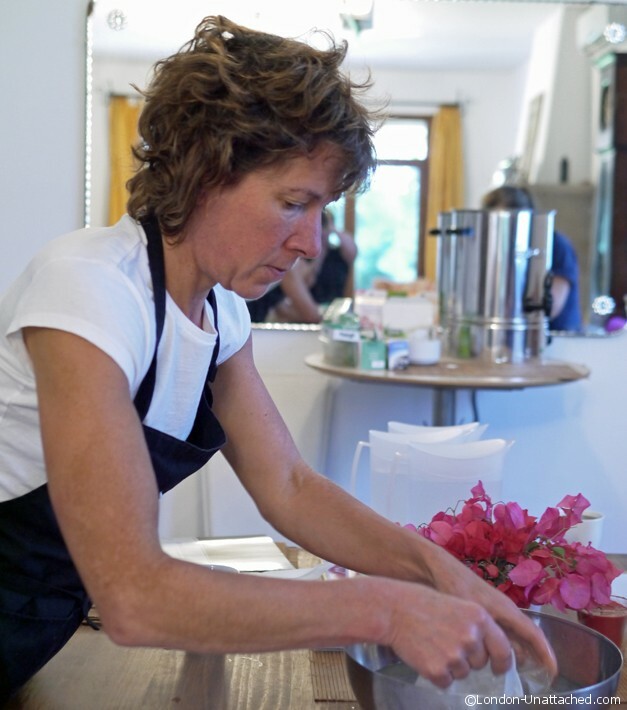 I spent some time talking with chef and dietician Diana Green who was cooking for us throughout our stay and also helping us to understand a little more about nutrition and weight loss and persuaded her to share a few recipes with me. While we were not following a 5:2 diet during the boot-camp, our daily calorie intake was limited to around 1300 calories. That was combined with the high level of physical activity (around 10 hours a day). So, whatever Diana prepared had to be nutritious and sustaining enough that we all felt capable of taking part in the boot camp (remember, we were just a stone’s throw from the bars and cafes of Sitges town centre). In fact, Diana prepared three meals and two snacks a day. Each meal was tailored in some way to the activity that was planned. Everything was gluten free and lactose free. And of course, there was no caffeine or alcohol. The intention – a detox combined with fitness training that might kick-start a healthier lifestyle. While the portion size was generally relatively small, I personally didn’t ever feel hungry. And that, I believe was at least partly due to the careful balance of protein-rich, low-fat dishes we ate. This Rogan Josh was my personal favourite from the camp. It was unexpectedly delicious and although it’s a little fiddly in that it involves blending your own spices, the results are amazingly good and worth the extra effort. Best of all, Diana has shared the recipe so you can try for yourself at home. With 350 calories per portion, this low-calorie curry recipe would be perfect for a 5:2 diet fast day. And one of the best things about a delicious curry like this is that if you are catering for a non-dieting partner or family, you can easily add rice, naan bread or a dahl to provide more food! This curry recipe is high protein and relatively low fat (30.2g protein, 13.4g fat and 27.1 carbs), so perfect for all sorts of diets. At Bootcamp some diners didn’t eat red meat so this recipe was also served using chicken. 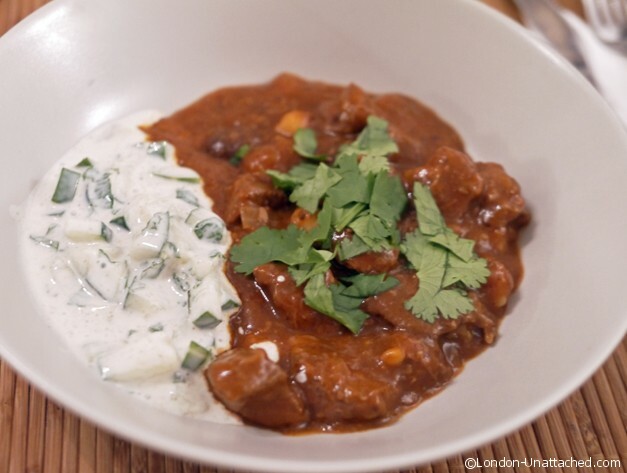 So, if like me, you are already planning how to recover from the excesses of Christmas, this low-calorie Rogan Josh curry recipe is a great way to start, whether you are following the 5:2 diet, Paleo or any other kind of low-calorie diet. If you are struggling to put together nutritious low-calorie meal plans Diana provides an online nutritional consultancy service through MyMealPlan. I’d give this a try but something’s amiss. The ingredients and directions somehow don’t translate to the curry being shown in the image! Are the chickpeas supposed to be round into a paste at any point? How’s the gravy in the image so thick and no chickpeas in sight? No, you don’t need to blend the chickpeas. The sauce thickens naturally if you cook it for long enough (3-4 hours). There ARE chickpeas showing, but some of them disintegrate into the sauce.